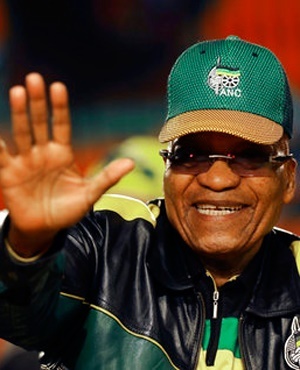 Johannesburg – The outcome of the no-confidence vote in President Jacob Zuma shows that his power grip in the ANC is slipping, which could restore investor confidence for the economy to recover, an economist said. On Tuesday, members of parliament voted to keep Zuma as president of the republic. A total of 177 MPs voted in favour of the motion with 198 against. There were nine abstentions of the 384 votes cast. Professor Jannie Rossouw, head of the School of Economic and Business Science at Wits University, told Fin24 that although Zuma was not removed, the outcome of the vote was a “glimmer of hope” for South Africa. In the medium term this could bode well to restore investor confidence for the economy to recover, he said. Rossouw said that the outcome of the vote also indicates that Zuma’s ability to influence the succession battle at the ANC elective conference in December has been eroded. The rand, which had been volatile leading up to the vote, dropped from R13.20/$ to as low as R13.41/$ following the announcement of the outcome. Tumisho Grater, economic strategist at Novare Actuaries and Consultants, said although weakness was observed in the local currency, the outcome seemed to have been factored into the market as the depreciation of the rand was not very pronounced. "Even though a successful vote of no confidence would bode well for the local unit, the implications for political stability towards year end would have been significant," said Grater. Adrian Saville, founder and chief executive of Cannon Asset Managers, said that replacing Zuma would not have solved the economic problem. “I do not think replacing Zuma leads to immediate recovery or restoration, the problem is much bigger than the leader of the ANC, it is a South Africa problem.” But Saville said it is hard to imagine that more damage would be done under Zuma’s replacement. The fact that a “meaningful number” of ANC members crossed the floor, does point that the president is losing his grip on the party, he said. Saville was more surprised at the decision by Speaker of Parliament Baleka Mbete to have the vote be conducted by secret ballot represents the constitutional strength and the robustness of the country’s institutions. Given the continued uncertainty, ratings agencies are likely to act. “Investors both local and foreign have already looked at other African destinations and other emerging markets. The people and economy of South Africa are the big loser here,” he said. This will negatively impact job creation and growth opportunities, further contributing to the poverty problem, he concluded. According to Sanisha Packirisamy, economist at MMI Investments and Savings, the result of the motion of no confidence likely reflects the reluctance of some members of the ruling party to vote with the opposition in an effort to keep the party together and restore confidence within the ANC, with a preference to deal with the current issues at the December 2017 NEC. "With a more significant number of ANC members likely voting in favour of the motion this time around (relative to the past motion of no confidence votes), the results show that there is an escalating internal conflict within the ruling party, which could play a significant role in the December 2017 NEC outcome. Looking back to the rand's performance this week, Grater said the currency strengthened leading up to the vote of no confidence after Monday's surprise announcement that the vote would be conducted by means of a secret ballot. This sent the local unit rallying all the way to R13.12 against the greenback at midday today (after starting the day at R13.21). "Ahead of the announcement, the yield on the SS 10-year also traded weaker at 8.5% from 8.6% while the SA 5 year CDS spreads narrowed from 178 basis points to 173 basis points, reflecting a decrease in the country’s perceived credit risk by investors." Grater said that following multiple rating downgrades, a recessionary growth environment and low business confidence, there has been a sense among some market participants that a change in leadership (either through the impeachment of Zuma or national elections), would reverse the economic underperformance of the past several years. "The no confidence vote comes ahead of Friday’s credit rating review from Moody’s," said Grater. "The institution flagged the weakening of South Africa's institutional framework; reduced growth prospects (which were reflective of the policy uncertainty and slower progress with structural reforms) and the continued erosion of fiscal strength (due to rising public debt and contingent liabilities) as the rationale for the downgrade in June. Friday’s rating review is expected to result in an unchanged foreign and local currency sovereign credit rating."